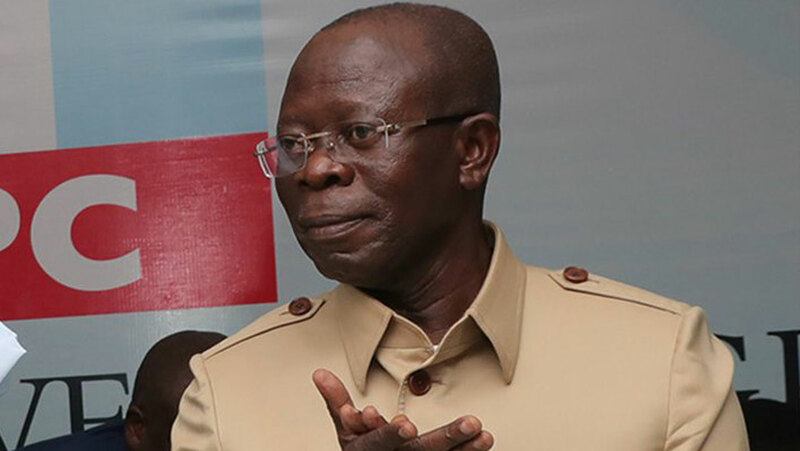 The National Chairman of the All Progressives Congress (APC) Adams Oshiomhole yesterday accused the Independent National Electoral Commission (INEC) of bias. 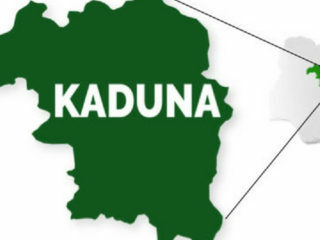 This came after the electoral body yesterday barred the party in Zamfara State from fielding candidates in next year’s general elections, accusing it of failing to hold primaries within the stipulated time. “Based on the provision of Section 87 and 31 of the Electoral Act 2010 as amended, the commission does not expect that your party will submit names of any candidate from Zamfara State. For clarity, our position therefore, is that the APC will not be fielding candidates for the governorship, National Assembly and state Assembly elections,” INEC said in a letter addressed to the party’s leadership. But Oshiomhole faulted INEC in a correspondence to the commission’s secretary, Mr. Okechukwu Ndeche. He said the party actually conducted primaries. To buttress his claim, he referred the scribe to a signed report from the Zamfara electoral committee on primaries held between October 6 and 7, 2018. Oshiomhole said that the APC would surely present candidates for governorship, National Assembly and state Assembly elections in the state before the October 18, 2018 deadline for the submission of such names. The chief press secretary to INEC’s chairman, Rotimi Lawrence Oyekanmi, however, dismissed suggestions that the commission would reverse its decision. Some top legal minds also said there was no judicial backdoor for the APC to escape the sanction. A Senior Advocate on Nigeria (SAN), who preferred anonymity, told The Guardian: “It is the electoral act that has actually empowered INEC to draw up guidelines and timetables for elections. If INEC comes out to say that in view of the Electoral Act it cannot extend time for you, then that is final. “This is because you cannot fall back on the constitution, since the provisions regulating elections in this respect are not self-executory. The constitution has delegated such powers to the Electoral Act, which has, in turn, delegated them to INEC. He held that the constitution has empowered the Electoral Act with guidelines and election timetable. Therefore, its position should be respected. There is no provision in the constitution for the APC to break free from the penalty, he said. He added: “APC has lost the state totally. I believe it is a divine strategy to deliver Nigerians. God will ensure that there is enough commotion within the party, so that Nigerians can get them out of power in 2019. The suffering, insecurity and the economy is killing everybody, while government is busy spending millions of Nigeria’s money doing propaganda. At a press conference yesterday, it warned that any attempt to influence the electoral umpire to change the decision would spark crisis. Also reacting to the ban, a former deputy national chairman of the PDP, Chief Olabode George, said the Zamfara issue could not be treated in isolation to commend or judge INEC without bringing into focus what happened in the Osun, Ekiti and Ondo governorship elections, where the commission acted below expectation. President, Arewa Youth Consultative Forum, Alhaji Yerima Shettima, said the Zamfara decision notwithstanding, INEC has not yet lived up to expectations. 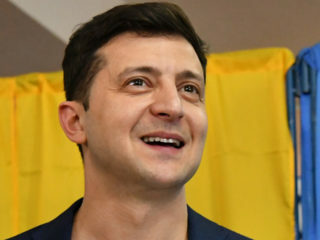 He warned the commission not to plunge the country into another civil war by conducting a biased poll in 2019. “The APC is demonstrating unnecessary desperation to retain power, given the manner it conducted its primaries,” he added. A former APC spokesman, Mr. Bolaji Abdullahi, and a chieftain of the PDP, Prince Adeseye Ogunlewe, both warned that failure by INEC to assert itself and hold credible elections could plunge the nation into chaos. In another upset for the APC, a High Court in Port Harcourt declared as null and void the nomination of Mr. Tonye Cole as governorship candidate in Rivers State. The judge stated that the court on May 30, 2018 declared the rescheduled ward congress of May 19; local government congress of May 20; and state congress held on May 21, as mere academic exercise having earlier nullified the congresses held on May 5 and 12. He explained that everyone who purchased nomination forms for the ward congresses, including those that filed the suit, were legally entitled to contest the ward congresses of May 19, 2018. At a rally in support of direct primaries at Igboukwu Field, Port Harcourt yesterday, Senator Magnus Abe praised the decision of the court. He said it was unjust of the APC to collect money from members and ask them not to run. Also, the controversies trailing the primaries forced some aggrieved governors to again seek audience with President Muhammadu Buhari yesterday. At the closed-door meeting were: Akinwunmi Ambode (Lagos), Muhammed Abubakar (Bauchi), Rochas Okorocha (Imo), Abdullahi Ganduje (Kano), and Kashim Shettima (Borno). The meeting came barely a week after nine other APC governors held talks with the president over similar issue. 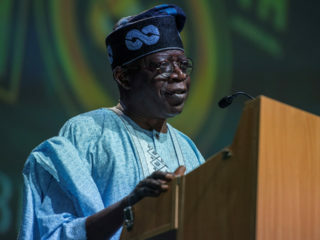 Noting that the challenge in Zamfara State APC was addressed during the meeting, he added: “In every democracy, you should expect a kind of disagreement and we have kindly requested that something be done to bring warring factions together, so that we can have a united party to face the challenges ahead. We are happy that will soon take place.